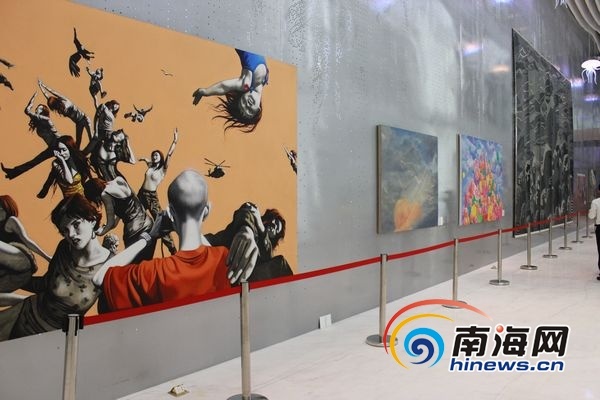 Haia Sanya Art Exhibition, organized by the China Railway Engineering Corporation, kicked off in Sanya on Feb 25. Various forms of artworks including oil paintings, sculptures and installation art from 8 famous international artists are being displayed in the exhibition. Among them, the two ultra-luxurious and rare Ferraris, including its concept car that made its debut in Sanya, have generated the most enthusiasm among visitors. According to the General Planner of the exhibition Yuan Yongyi, this is the first time that Sanya has displayed so many contemporary original artworks in one exhibition.